1,000 mg of Garcinia Cambogia for stimulating fat loss and preventing the formation of new fat. Each body is different. If you don’t love this product as much as our customers do, you’ll get a full refund. 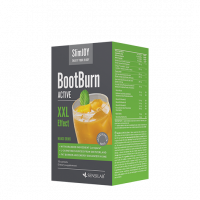 This natural lemon drink contains 3 top detox ingredients and slimming superstar Garcinia Cambogia. It's designed to target your fat reserves and flush out toxins. All for a slimmer and healthier waistline! The best way to kick-start your weight loss is by resetting your system. The best way to do that is by detoxifying your liver. The liver is the organ that transforms the food we eat into a usable form. But when it's overloaded, it cannot use this food as fuel. All this unused energy starts accumulating in the form of fat – first around the waist and then all over the body. This makes you feel sluggish and tired - being active becomes a huge effort. Since you're lacking energy, you crave junk food and don't sleep well. The problem becomes bigger and bigger. Nip the weight problem in the bud! 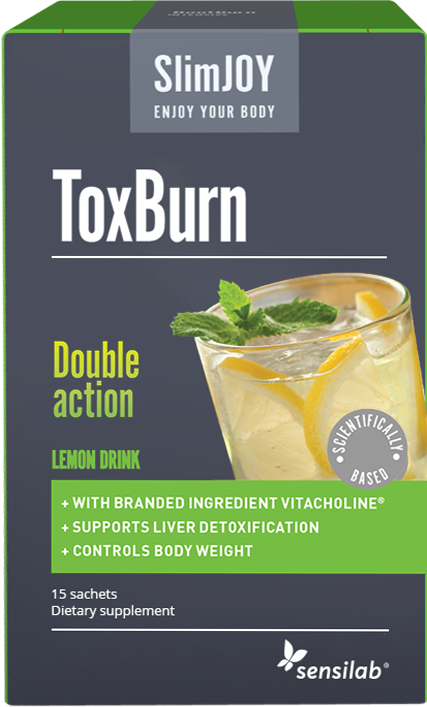 ToxBurn contains 3 detox ingredients that target the liver and Garcinia Cambogia which is proven to boost fat loss. Increases and maintains weight loss. Blocks hunger and sugar cravings. Contributes to the reduction of fat storage. Contributes to the detoxifying potential of the liver. Supports the digestive juice flow. Contributes to normal lipid and homocysteine metabolism. Carrier: corn dextrin, garcinia cambogia fruit rind extract with 60% hydroxycitric acid, milk thistle dried fruit extract, choline bitartrate, artichoke leaf extract with 2-5% cynarine, natural lemon flavour, acidity regulator: citric acid anhydrous, anti-caking agent: rice concentrate, sweetener: sucralose. The recommended daily intake is 1 sachet dissolved in a glass of water after a meal. If you are hypersensitive or allergic to any of the product ingredients or use medication, consult your doctor before use. This product is not recommended for pregnant or breastfeeding women. The recommended daily intake should not be exceeded. Dietary supplements should not be used as a substitute for a varied, balanced diet and a healthy lifestyle, which are important. Keep out of the reach of children! Store in a dark, dry place and at temperatures below 25°C.